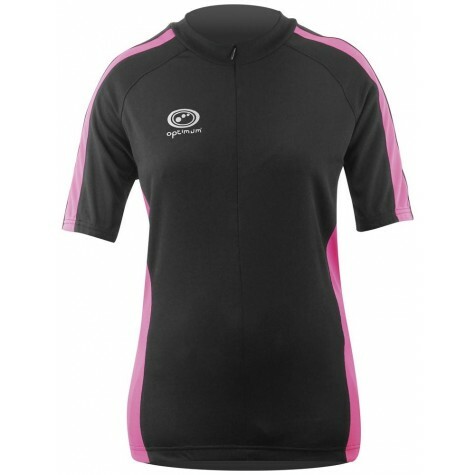 Optimum Nitebrite Cycling Sport Ladies Activewear Short Sleeve Jersey Black-Pink. Lightweight material with moisture-wicking technology, Silicone waist and elongated rear, Half length baffled zip. Three rear storage pockets and one horizontally zipped pocket,Reflective printing and logos for maximum Visibility.